Felipe is a design-thinking specialist born in Brazil. He began studying Law but later changed his mind radically and began a course in Marketing and Advertising at ESPM instead. In 2006 he founded his own advertising boutique BrandishAd and in 2015 he became the Founder of a Berlin-based start-up ‘Apps 4 Gaps’, which also operates in London and São Paulo. 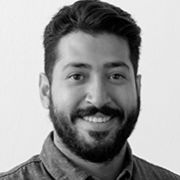 Felipe has obtained certifications in Innovation and Entrepreneurship, Advanced Project Management and Strategic Decision and Risk Management from Stanford University, as well as Creative Writing from the University of Cambridge.